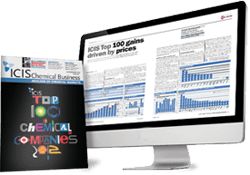 Ethanolamines price reports are published weekly in Asia and Europe at ICIS. Information is gathered by our locally based reporters and unbiased price assessments are published for the three main grades of ethanolamines; mono, di and tri. The news and market analysis cover influencing factors such as regional activity, production issues, both planned and unplanned, and upstream movements. The up-to-date market information helps support your commercial decision-making. Ethanolamines supply in Asia improved slightly towards late Q1 2019. In key market China, local supply was balanced to long as manufacturers lifted operating rates to prepare for post-holiday sales, amid buoyant upstream ethylene oxide (EO) sentiment. China’s antidumping duties (ADD) on imports were firmly in place, boosting the confidence of local makers. Distributors, having re-stocked earlier, had fairly high inventories to trade with. In Asia, stockpiles grew as two facilities completed their extensive turnarounds respectively. Demand for ethanolamines in Asia was mostly lacklustre in Q1 2019, despite feedstock spikes. Local demand in China stayed stagnant, as users took time to restart facilities and confirm orders after the Lunar New Year break. Some consumers bought minimal volumes to cover immediate demand and others had sufficient supplies for the short term. Spot buyers in southeast Asia procured on a hand-to-mouth basis, while importers in India kept purchases small before their fiscal close. At the start of the first quarter of 2019, there were some output/supply constraints for certain domestic players due to Rhine river water level issues. There were also some instances of delayed shipments in certain cases. However, as the quarter progressed, the market was better balanced to well-supplied, with talk of increasing import competition from the US. Demand in mainland Europe was reasonable during the first quarter, albeit with a cautious buying sentiment due to economic/political uncertainty. It was also low season for certain end-sectors. However, there were some signs of a seasonal pick-up later in the first quarter in some cases. In the UK, there have been some higher demand than expected in the first quarter, linked to stock-building amid Brexit uncertainty. We offer the following regional Ethanolamines analysis and news coverage to keep you informed of factors and developments affecting prices in the Ethanolamines marketplace. Over 25 years of reporting on key chemicals markets, including Ethanolamines, has brought global recognition of our methodology as being unbiased, authoritative and rigorous in preserving our editorial integrity. Our global network of reporters in Houston, London, Singapore, Shanghai, Guangzhou, Mumbai, Perth and Moscow ensures unrivalled coverage of established and emerging markets. Ethanolamines including monoethanolamine (MEA), diethanolamine (DEA) and triethanolamine 99% (TEA) find a variety of applications across several sectors of the industry. There are three main ethanolamines: monoethanolamine (MEA), diethanolamine (DEA) and triethanolamine (TEA). They are produced by the reaction of ethylene oxide with ammonia with the product mix varying from an MEA content of about 70% to a TEA content of about 50% and any combination in between. MEA’s main use is in the manufacture of ethylene amines and imines, personal care products and detergents, and wood treatment. Applications for DEA include herbicides, detergents and personal care products and treatment of acid gases in refineries. A large portion of TEA goes into detergents and personal care products, engineering and metal working applications and concrete manufacture. Ethanolamines are colourless liquids which can be hazardous in high concentrations.